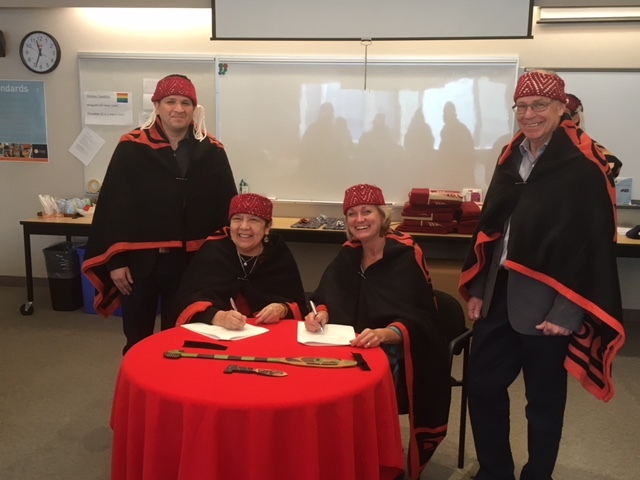 New SQUAMISH NATION 5 year Protocol Agreement! A day of honoring at Signal Hill Elementary on June 22, 2016! Wrapped in blankets with hands of love, residential school survivors were lifted up and honored for their journey, their story and their work. An entire learning community gathered to respectfully acknowledge each of the 31 residential school survivors and to share their learning about the impacts of residential schools. The 24 Hour Drum is an event that aims to immerse communities in Aboriginal traditions while drawing attention to Aboriginal issues and raising funds to support Aboriginal initiatives. Through the 24 Hour Drum hosted by the School District No. 48 Aboriginal Youth Leadership group, students will share their experiences, stories and concerns with their classmates, teachers, families and the greater community. The Aboriginal Youth Leadership group is comprised of 60 students from across the Sea to Sky Corridor, including Pemberton Secondary, Whistler Secondary, Xet’olacw Community School, Head of the Lake School, Howe Sound Secondary, Learning Expeditions and Don Ross Secondary. 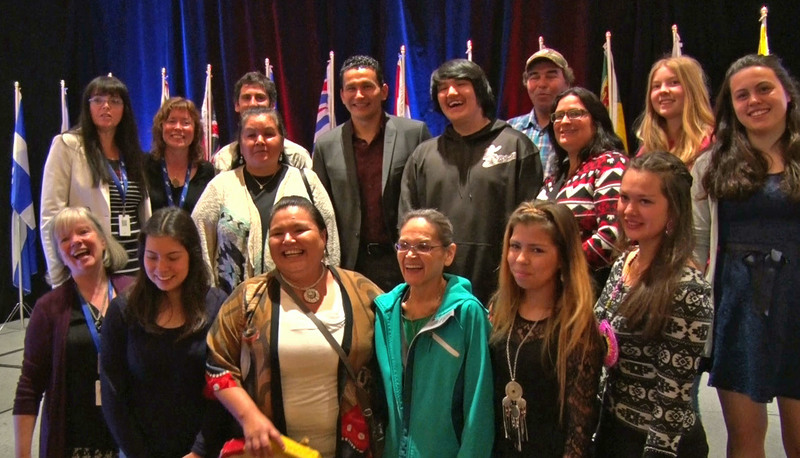 Their work this year is guided by two chosen themes: Environment and Preserving Local Indigenous Languages. Students have prepared projects they will share through spoken word, poetry, film and art during the 24 Hour Drum. All funds raised throughout the presentation of the 24 Hour Drum will be allocated to the Res’eau Waternet Project: A Community Circle Approach to solving water problems in small communities. On May 6, 2016, students will gather at Whistler Secondary School to witness the raising of the Skwxwu7mesh and Lil’wat Nations’ flags on their shared Territory. 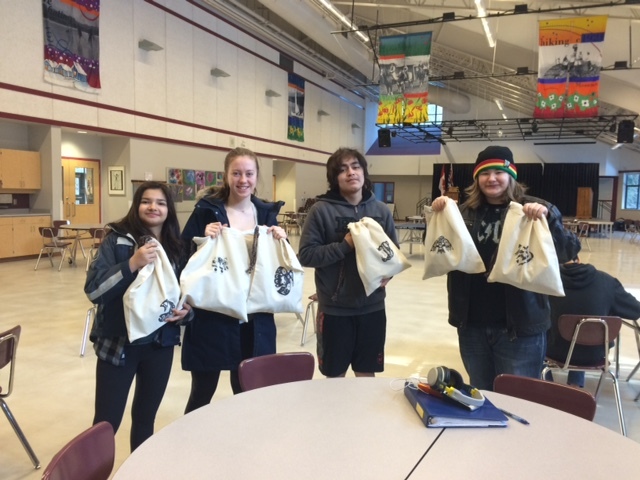 All members of the Squamish, Whistler, Pemberton and D’Arcy communities are invited to join in the festivities when the Aboriginal Youth Leadership group hosts an evening presentation and dinner at Whistler Secondary School from 5:30 – 7:30 pm. Admission is by donation. To learn more about the 24 Hour Drum, please contact Susan Leslie at sleslie@sd48.bc.ca, or visit the Aboriginal Youth Leadership group online at sd48aboriginaleducation.org. Learn Skwxwú7mesh! Follow our link and try some Skwxwú7mesh words! If you have an questions or problems with the link, please email me directly at njakobsen@sd48.bc.ca. 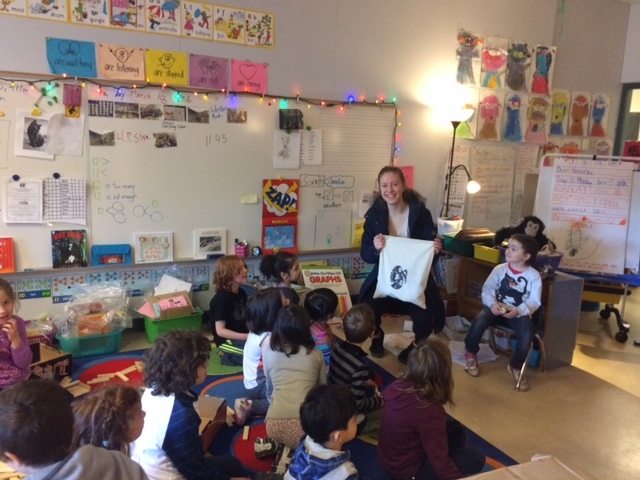 Whistler Secondary Aboriginal Leadership students creating and designing puppet bags for their their primary partners at Spring Creek Elementary School! New “Cultural Journeys” Video- 5 minutes – Oct 2015. 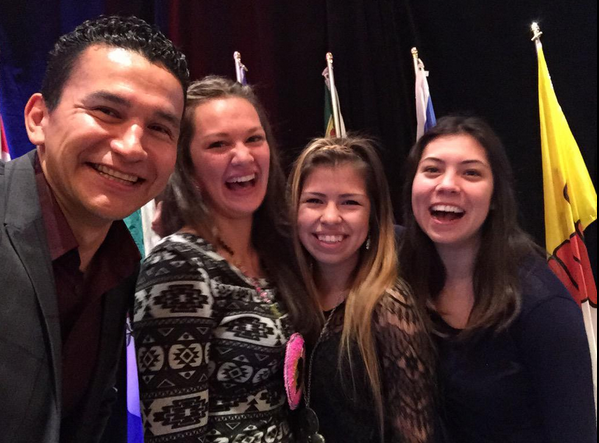 At the May 12-14th CAP Conference, Wab Kinew was introduced by 24 Hour Drum students! Conference participants were privileged to see songs, dances, and slam poetry!